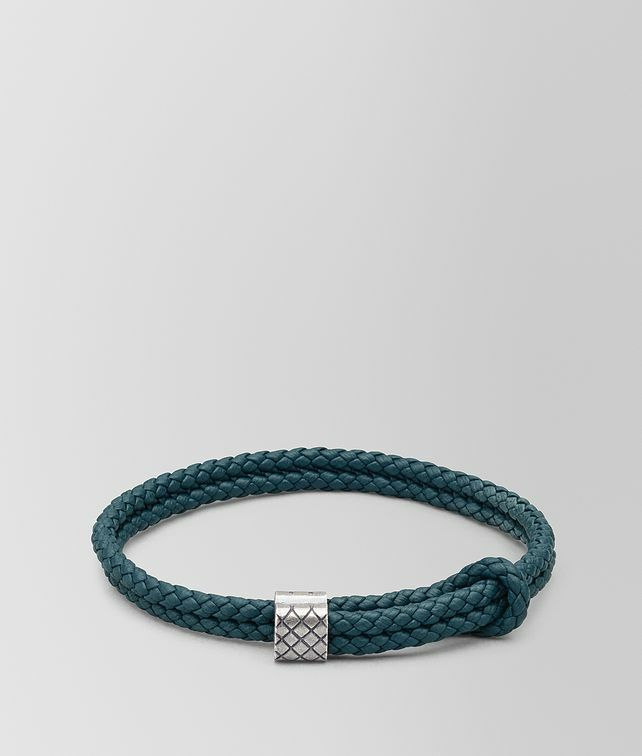 Masculine double-strand bracelet crafted from soft nappa. The distinctive coaxial weave and the hand-engraved, adjustable closure in oxidized silver give the design an exclusive finishing touch. Length: 29 cm | 11.4"